J. Michael Lindell is the senior partner of Lindell & Farson, P.A. A native of Jacksonville, Florida, Mr. Lindell earned his Bachelor of Arts Degree (English and Economics) from the University of North Carolina, Chapel Hill in 1975. Mr. Lindell then returned to the State of Florida and received his Juris Doctor degree from the University of Florida in 1978 with honors. Upon graduation, Mr. Lindell began his legal career in the field of civil trial law with the distinguished Jacksonville firm of Ulmer, Murchison, Ashby & Ball. In 1987, Mr. Lindell founded the law firm that is now known as Lindell & Farson, P.A. 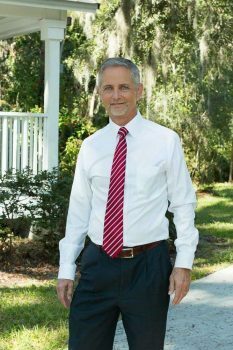 Mr. Lindell has practiced law in his hometown of Jacksonville since his admission to the Florida Bar in November 1978. During that time, he has gained numerous distinctions. He was one of the first Jacksonville attorneys to obtain the coveted status of a board certified civil trial lawyer in 1985 after only seven years of law practice. He has maintained that status ever since. When board certification was established for business litigation in 1996, he was, once again, one of the first Jacksonville attorneys to obtain that distinction. J. Michael Lindell has lectured as an adjunct professor both at the Florida Coastal School of Law (Corporate Governance) and at the local Florida State College (Business Law). He has served as chairman of the Jacksonville Bar Association committee on corporate, banking and business law (2000-2005) and previously served as chairman of the Fourth Judicial Circuit Grievance Committee (1992). Based upon peer review in the profession, Mr. Lindell has enjoyed an “AV” rating by Martindale Hubbell for 20 plus years and was selected as one of Florida’s “Super Lawyers” in the field of business litigation in more recent years (2008-2011; 2014-2018). Mr. Lindell has previously served as board member and president of the local Christian Legal Society chapter. Through the years he has been involved in various forms of community service, including elder and teacher at Christ’s Church – Mandarin (formerly Mandarin Christian Church), Mandarin Christian School Board Member, Rotary Club of Mandarin Board Member, Mandarin Community Club Board Member, Flag Football Coach, Scout Leader, Board Member of First Coast Women’s Services, and other service related projects. J. Michael Lindell has been married to the former Deborah Reynolds since February 1981 and has four children. University of North Carolina, 1975, B.A., Double Major: English, Economics.